“The syndicate’s behind it,” Frank said. This entry was posted in Adventure, Books, Characters, Editing, Fiction, Genre, Guest, History, Novels, Publishing, Writers and tagged business, childrens books, ghostwriters, hardy boys, history, literature, pseudonym, stratemeyer, tom swifty, writing. Bookmark the permalink. A nice piece, Leigh! As I wrote in my earlier piece (which you cite) it is amazing how many writers found their first love of mysteries in the Hardy Boys or Nancy Drew. They may not have been well written, but they sure hooked us as kids. “Coolly pontificated!” I’m already feeling an itch to use that one. Say it ain’t so, Albert! Although it may be the first time (and with good fortunate the last) those two words were used together. Dale, although we’d both written about Tom Swifties, your article inspired me to read the initial novels of the Hardy Boys and Nancy Drew. The histories behind the mysteries are intriguing. I was surprised to learn Stratemeyer wrote Horatio Alger stories and yet it fit the businessman he was to become. Lovely stuff. Don’t forget Mildred Wirt Benson,who wrote most of the Nancy Drew books for the Stratemeyers under the name Carolyn Keene. In the early 1990s her alma mater, U of Iowa held the first ever academic conference on Nancy and got testimonials from successful women in just about every field explaining how the Girl Sleuth had inspired them. Indeed, I haven’t forgotten Mildred! I’ve actually sketched a second article, if the nice ladies at EQMM don’t mind another, er, stab. Earlier this week, I read her first Nancy Drew, The Secret of the Old Clock, the original version, not the one replotted by Margaret Stratemeyer. It holds up very well. Funny and a sly way to slip in a writing lesson. I think the trick we adults don’t see is that lack of detail allows kids to use their imagination to fill in the blanks. Lack of character detail allows boys and girls to picture themselves as characters and worlds of their own. As for the narrative tags, it must have been a thing of the times. You have a good point, Militant. I suspect I did that as a child reader. 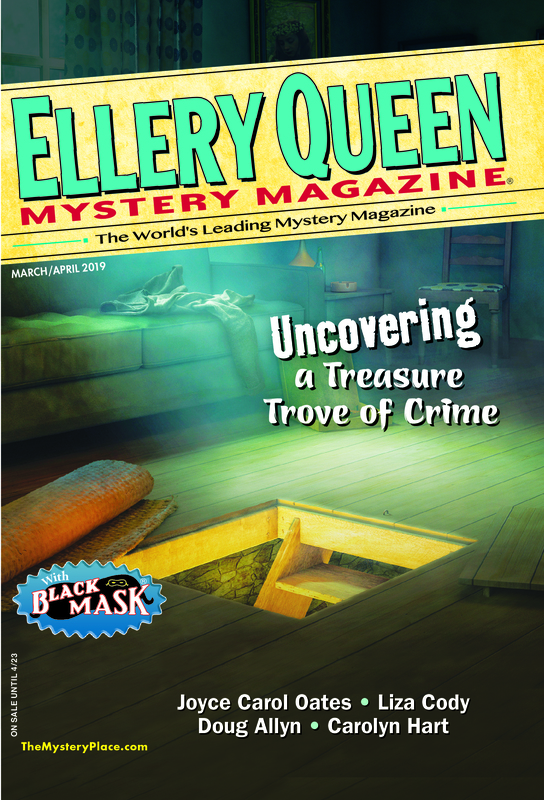 I wrote a tangential article in Sunday”s SleuthSayers, Literary Rags. Stratemeyer was simply following the practices of the publishing industry of his day when he established his own stable of writers. Mark, thanks for the additional information. Our friend and colleague, Deborah Elliott-Upton is a major Nick Carter fan. I’ll make certain she sees this. Thank you!